You’re changing your spending habits and making better decisions. You’re finding dollars you never knew you had to pay off your debts. Take a look at your Net Worth report and see the results from all of your accounts—all in one place! Your first step is to determine which months and which accounts you want to include in the report. Maybe you want to exclude your tracking accounts to get a picture of your net worth without your investment accounts or mortgage. 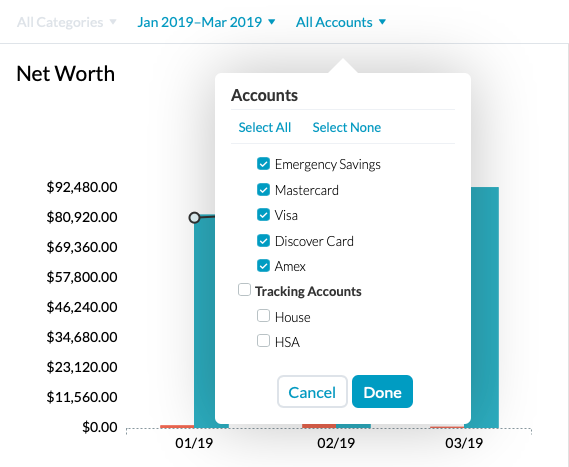 You'll notice All Categories is greyed out—because this report is based on your account balances. 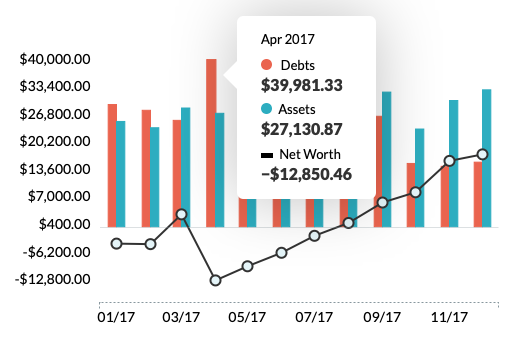 Hover over the graph to see details about your debt and assets for each month. 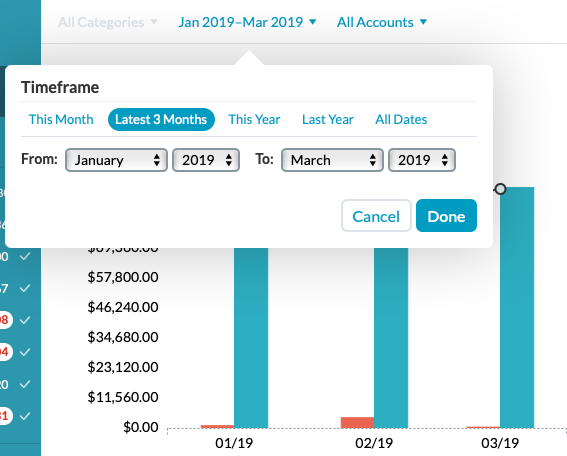 It gives you a snapshot of your account balances on the last day of each month (if the current month is included, it reflects today's balances). When you have more debts than assets—when the red bar is higher than the blue bar—the Net Worth trend line will be below zero. As you Deal with Your Debt, the red bar will fall, the blue one will grow taller, and your trend line will rise. 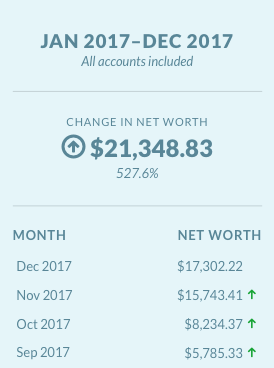 The right sidebar captures your month-over-month and total net worth change. If you're interested in the monthly breakdown of your debts and assets by account, export the report. The exported data will only include the date range and months selected, so go ahead and customize those before hitting the Export button.